Pick up a great campervan deal from Wellington and visit some of the exciting attractions the city has to offer. If in need of some ideas of great places where you can park your campervan in Wellington, read on. This family run holiday park is tucked away in the scenic parklands of the Akatarawa Valley in Upper Hutt. It’s set on 32 hectares of peaceful native bush and parkland, surrounded by wildlife and a river running through the area. It’s location makes it an ideal setting for a relaxing stopover when heading to or from New Zealand’s South Island. This family-friendly camp overlooks the magnificent Porirua Harbour and is surrounded by native bush. There’s are many fantastic bush walks and bike tracks around Camp Elsdon, and they’ll treat you to amazing, panoramic views of Porirua, Wellington and the South Island. Drive straight off the ferry from the South Island and into the Wellington Waterfront Motorhome Park. It may not have the recreational facilities you’d find elsewhere, but it’s convenient location – close to major tourist attractions, cafes and bars – makes it a great place to base yourself when exploring Wellington. About half an hour from Wellington City, Paekakariki Holiday Park sits on 11 acres of park-like grounds. It boasts full park amenities, and it’s only a 10-minute walk to the lovely township of Paekakariki. There are also dog friendly campsites available – so why not bring every member of the family along? 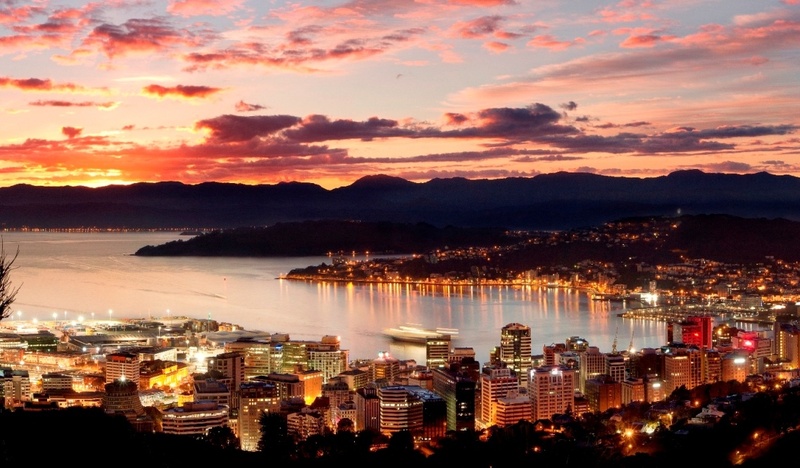 It’s touted as “the best location to enjoy New Zealand’s capital city”. The Capital Gateway Motor Inn is located just minutes from the city centre and the waterfront, so you’re close to all of the city’s main attractions. There’s also a cosy bar and restaurant open every night of the week.